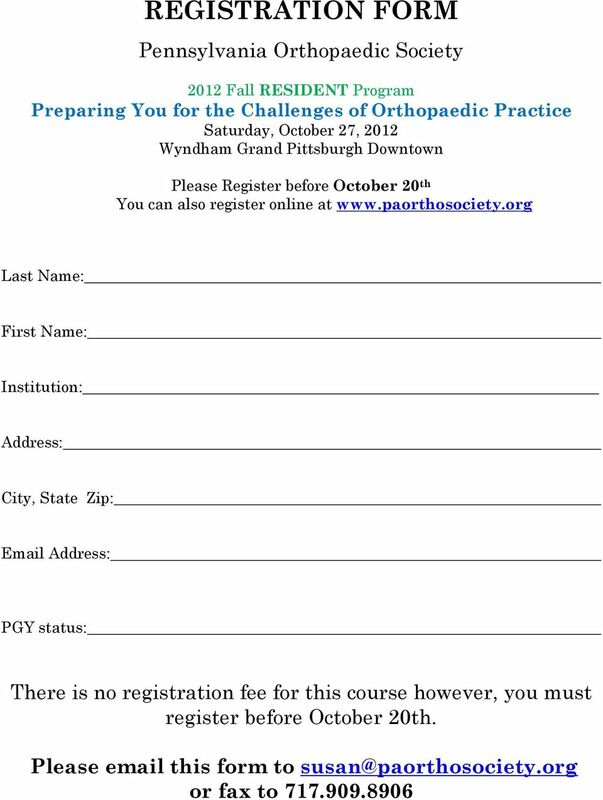 Download "2012 Fall RESIDENT Program Preparing You for the Challenges of Orthopaedic Practice"
OCCUPATIONAL MEDICINE (ALL CARE) 2. Drs. 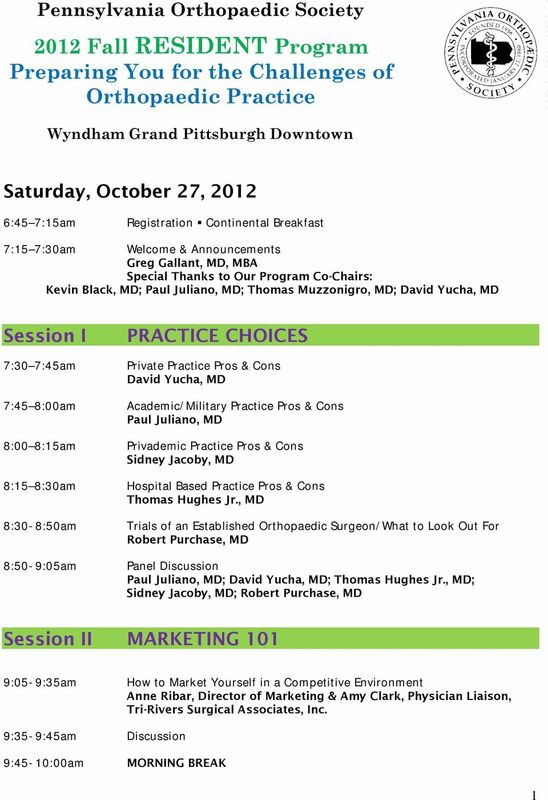 Horenstein, Brigham, & Colton Premier Surgical Orthopedics, 525 Jamestown Ave, Suite 105, Philadelphia. Faculty. Guest Faculty. Faculty. Planning Committee. 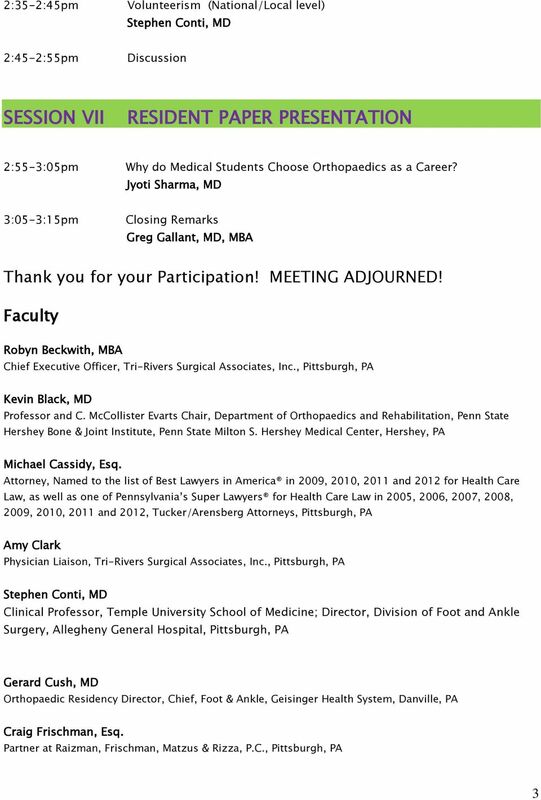 Steve Casey, M.A. Casey Psychological Associates, Inc. Marc Kaufman, C.P.O. The Art of Trauma THURSDAY, APRIL 4, 2013. and its changing palette. 7:45 a.m. to 5 p.m.
CURRICULUM VITAE JON BARRY TUCKER, M.D. 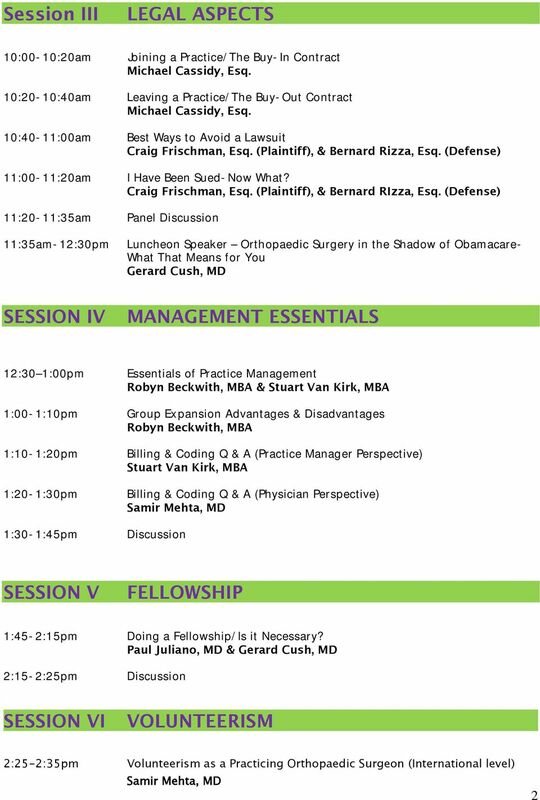 HOAG ORTHOPEDIC INSTITUTE AND THE ORANGE COUNTY CHAPTER OF NAON PRESENTS: 7 TH ANNUAL Orthopedic Nursing Symposium MONDAY, OCTOBER 26, 2015 8 AM 4 PM HOAG HOSPITAL IRVINE AUDITORIUM 16200 SAND CANYON AVE.
For more details see www.blairortho.com/sports-medicine or contact Claudia at cspitta@conemaugh. org for more information. Birth: Medical Licensure Post Graduate Education January 31, 1966, Brooklyn, New York Medical Board of California License Number: G093671 Sports Medicine Fellowship, S.O.A.R., Stanford University, 1997. CURRICULUM VITAE Kenneth E. Wasserman, M.D. 1817 South Broad Street Philadelphia, Pennsylvania 19148 Office- 215-334-1300 Cell 215-880-2037 DATE AND PLACE OF BIRTH PERSONAL June 13, 1957, New York City. Christopher Edward Emond, M. D.
Joseph Johnson MD Bldg. 2 Suite 200 1765 Old West Broad Street Athens, GA 30606 Office: 706-549-1663 Fax: 706-433-4039 Jtjohnson63@gmail. Sanford Day 2015 Your Nursing Career Starts Here Pursue Your Passion for Nursing Sanford Nursing Leadership, staff and recruiters cordially invite you to join us on Saturday, April 11 for Sanford Day. 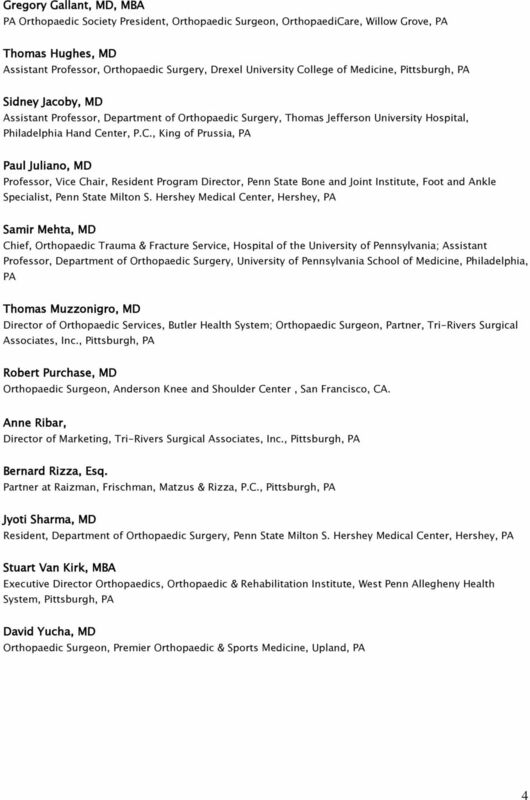 New England Orthopedic Specialists is the premier orthopedic care center north of Boston.